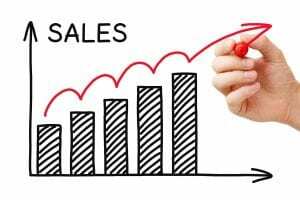 Improve sales performance | How can stoic philosophy help? To improve sales performance, the need to be resilient is arguably a more important personal attribute in a sales role than for any other job. The ability to bounce back from adversity quickly and constantly is the hallmark of top sales performers, as well as being a key life skill. In the face of continual knock-backs, the modern sales professional can actually learn a lot from stoic philosophy advocated by the ancient Greeks and Romans such as Marcus Aurelius, Epictetus and Seneca. The three stoic principles of perception, will and action can help us improve our resilience in the face of the inevitable setbacks and adversities that are part of any sales role. As a more modern philosopher Jon Kabit-Zinn, put it: “You can’t stop the waves but you can learn to surf”. Adversity and setbacks are a part and parcel of life. What matters most is not what these obstacles are, but how you see them, react and respond to them. Whether you have a knee-jerk reaction or a considered response to a challenge determines how successful you’ll be in overcoming adversity and maybe even thriving because of it and this can reflect in sales performance. To succeed, you’ll need to develop the ‘art of not panicking’. When people panic’ they make mistakes: they override systems; they deviate from plans; they become unresponsive and stop thinking clearly. In other words, they just react rather than offer a considered response. A considered response requires willpower, defined by emotional intelligence and self-awareness, i.e. quiet humility, resilience and flexibility, rather than weakness, which manifests itself as bluster and belligerence. There are far more failures in the world due to a collapse of willpower than there will ever be from external events. One thing you can guarantee is that things will go wrong. Whilst you’re waiting for the inevitable to happen, the only thing you can control is yourself. In sales, a good way to anticipate your reaction is to evaluate all the things that would prevent us from winning any deal in advance – this is a well-known management tool called a pre-mortem. Too few people have a back-up plan, mainly because they refuse to consider that something might not go exactly as they wish. Obstacles offer a unique chance for all of us to grow and improve. Embrace them because lessons become hard only if you are deaf to them… and be warned, life’s lessons have a habit of repeating themselves until they are learnt. What you need to do is learn to remove your ego and emotion from any sales situation and bring a ‘scientific method’ to bear in order to get a sense of stoic perspective. For instance, setbacks from a scientific experiment that has gone wrong do not piss off scientists – they usually find a way for it to help them. Alexander Fleming’s accidental discovery of penicillin is well known, but there are plenty of things we use every day that were discovered as the result of mistakes or setbacks. So what you can learn from a mistake is that if you can’t solve it for yourself, you could use the experience to make things better for teammates. You don’t have to like something to master it or use it to your advantage, just do the best you can with what you’ve got. NB: This has nothing to do with spying! In the sales-mind context, CIA stands for Control, Influence and Accept. Clients from all sectors tell us that the sales-mind model of CIA has had a positive impact on their sales team performance. CIA unifies a lot of the stoic writings. All of life’s challenges fall under something we can either control, influence or need to accept. None of which are easy when we are under pressure to deliver sales numbers. In adopting these fundamental rules of stoic philosophy, sales-mind is helping sales teams increase sales performance and leadership strategies by enhancing focus, resilience, motivation and empathy. If you would like to discuss how sales-mind can help motivate your sales team and improve your sales performance, please contact us for more information about our sales training courses and workshops.